"An upscale country house with landscaped gardens and luxe rooms, plus fine dining and a spa." Located approximately 1 mile from The Bodden Cross Studio. View on Google Maps here. A delightful B&B situated two fields away from the Bodden Cross Studio. They have first hand experience of the letter carving courses. 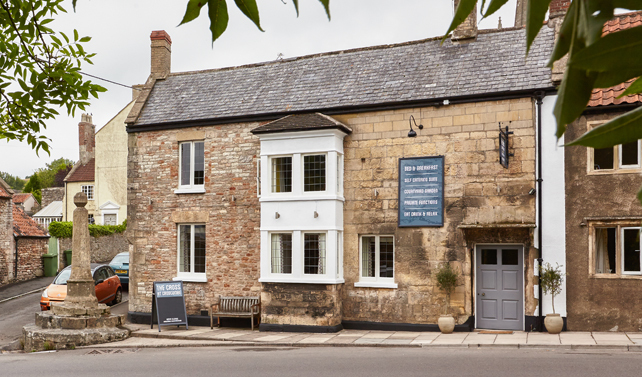 "A beautiful bed and breakfast with 5 en-suite bedrooms (2 family rooms) in the heart of Somerset." Approximately 4 miles from The Bodden Cross Studio. View on Google Maps here. Other places we love include Babington House (approximately 8 miles away) and Ston Easton Park (approximately 7 miles away). A wide selection of places to stay is available on the Visit Shepton Mallet website.